Leading digital PR consultancy redheadPR is exhibiting at Introbiz, the biggest business exhibition in Wales, on November 22 2018 on stand 209. The PR agency look forward to speaking to businesses and entrepreneurs at the one-day event in Cardiff ahead of the launch of its new offering for 2019. 2018 sees redheadPR celebrate 15 years in business. As part of the celebration, Sara Tye, founder and managing director of redheadPR, is offering delegates the chance to win one hour of free consultancy with her. As a top 500 international PR, Sara helps many organisations and business transform. Visit stand 209 to find out more. Legendary business icon, Lord Alan Sugar, star of the BBC’s The Apprentice, is giving the headline keynote speech at Wales’ National Business Exhibition at Cardiff’s Motorpoint Arena. The British business magnate, media personality, politician and political adviser became a billionaire in 2015, According to the Sunday Times Rich List. In 2016 his fortune was estimated at £1.15bn, ranking him as the 95th richest person in the UK, proving entrepreneurialism at its best. As a key location for growth, Tye points to statistics highlighting the need for her firm’s services across Wales. Last year across the region, more than a third (38.3%) of private sector employment across Wales was in large enterprises (i.e. those with at least 250 employees) – while the figure for the UK as a whole was 39.8%. Indeed, Wales has become a hub for successful businesses, and in 2016 had the UK’s fastest growing economy. Clearly, its strong transport links mean Wales is ideal for commercial traffic, while the financial benefits to organisations being in Cardiff rather than London are clear. Wages are 70% of those for equivalent roles in the UK’s capital (i), and Grade A office space costs 40% of a similar offering in London (ii). Equally, the Welsh capital is one of just six UK cities with an internet exchange, providing data-heavy firms with word-class resilience. redheadPR offers tailored online solutions, as well as traditional methods, which are customised to fit each client's profile, needs and aspirations. Services available from the company include: SEO; Vlogs; online and offline media; social media as well as social media apps, blogs and forum articles; digital marketing; analysis reporting; and a selection of other services as required. Visiting the redheadPR stand is a great opportunity for businesses to find out more about the benefits of professional PR to the sustainability and success of their operations. How prepared are you for Black Friday? 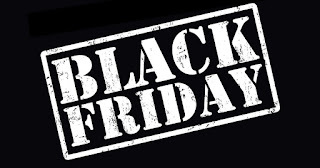 It falls on November 23 this year, the day after Thanksgiving in America, and has long been heralded in the US as the start of the festive shopping season – although the term ‘Black Friday’ has only been really widely used since the turn of the Millennium. And while many shops dip their prices for 24 hours to get people splashing their cash in the run-up to the festive season, numerous retailers now spread their deals over a fortnight. Additionally, others focus on Cyber Monday, always the first weekday after Black Friday – so this year it’s on November 26 – as a great opportunity for massive online promotion. With such a great chance for serious sales, you need to be properly prepared in advance to maximise this opportunity. That means ensuring your promotions reach your target audience, and that you’re really thinking about what you’re offering, and to whom. It’s quite important that you aim at a specific customer, rather than being too generic or trying to please everyone. Shoppers will be writing a list before the big day to be able to search and purchase as quickly as possible. This means that you can be more specific than you would be with general seasonal sales. If you’re running a social media campaign, you can really hone in on your target demographic. For example, choose a geographical location, age profile, specify particular interests etc. Don’t leave planning until the last minute. Given that Black Friday really does now go on for at least a week, be ready. For example, if you’re planning on running a different deal on each day for a week, think those through thoroughly and well in advance. Consider how you will get your message out – will it be by blog, newsletter, social media or press release? And how far in advance are you prepping the consumer? 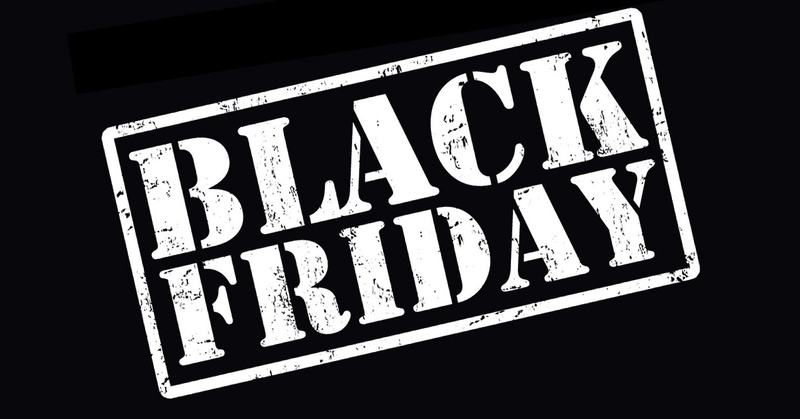 Remember, the more places that you Black Friday deal is featured online, the better this is for your search engine optimisation (SEO). This means that your visibility on online presence is increased. You also need to know what you expect to gain from your Black Friday push. Set targets and measure the results. It’s best to set KPI’s before as a driver to achieve your objectives. Particularly with social media campaigns, not least those you’re paying for, you need to be sure you’re getting results. Finally, with an expected upturn in sales, be sure you can handle this increased volume. Make sure your team can respond adequately to social media comments, phone calls, sales handling and website traffic. redheadPR was proud to be one of the sponsors of The Victory Swim, a fantastic one-day event, which raised £1094 for the Felix Fund, a charity supporting bomb disposal personnel and their families. The event saw participants of all ages and abilities experience an exciting open-water swim in the glorious Cotswolds Lake near Cirencester. As well as providing £250 of sponsorship money, founder and managing director of redheadPR, Sara Tye, also took part in the event, which took place on Thursday 6 September 2018. During the event, entrants were able to swim with Jack Cummings, a double-amputee war veteran who is an Invictus Games medal winner. 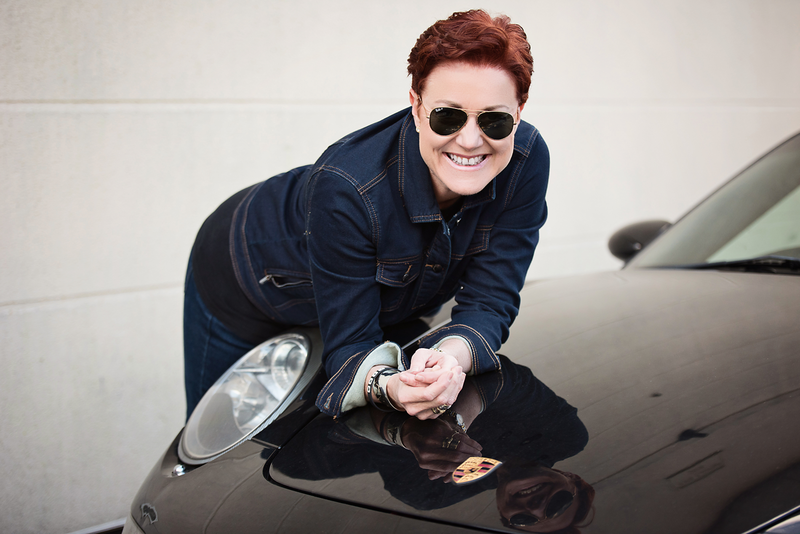 As well as being founder and managing director of redheadPR, Sara is also an award-winning entrepreneur, a business and organisational expert, a keen triathlete and chair of Swindon Triathlon Club. Sara goes on to say “The Victory Swim is a brilliant example of how sport can inspire people, and change lives. In terms of redheadPR, we love to give back to the community and sponsor events and initiatives that we think are particularly worthwhile. We hope that our involvement will encourage other companies to come forward and support this extremely worthwhile event." Swimming success clearly runs in the family at redheadPR, as Sara’s two daughters also took part in The Victory Swim. Samantha, aged 12 swam 1,500 meters in the lake, whilst Amelia, aged 11 swam 750 meters. Samantha, is also an ambassador for HUP™ Children's CyclingChildren's Cycling. 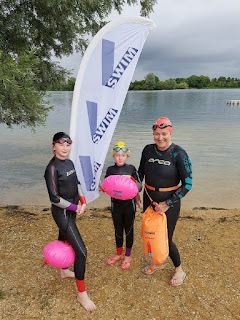 Sara and Samantha also took part in this year's Swim Serpentine on Saturday 22 September 2018. Together they both swam half a mile. This well-known open-water swimming event is held in Hyde Park in the beautiful Serpentine, the same stretch of water that was used for outdoor swimming races during the 2012 London Olympics. This year, Sara has already completed the Pier to Pier Bournemouth open-water swimming event, swimming 1.4 miles between Bournemouth Pier and Boscombe Pier. The 2019 Victory Swim promises to be particularly special, with advanced swimmers having the opportunity to attempt a Channel swim, either solo or as part of a relay team. If you are interested in swimming or sponsoring the event, please contact pr@redheadPR for more information.